I’ve been reading through my collection of books again on Fatima for the past three weeks, especially Sr. Lucia’s memoirs. I love the sense of urgency that these writings motivate me toward more focused prayer. The message always inspires me, and I have had recourse to them a lot this past year! Sigh. And of course, I’m now also missing my visits to the Blue Army Shrine ….. I do miss that place. If you’re anywhere nearby, I can’t recommend enough that you visit. Immaculate Heart of Mary, be my refuge and the way that leads me to God! 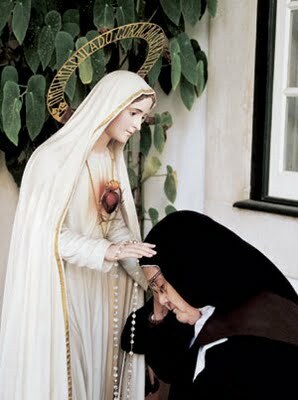 Sr. Lucia, pray for me!